Make a Difference in Young Lives Today! Check our news & events. Our 208 acre site is yours to enjoy as you retreat at Hanging Rock. Come learn, relax, play and grow at one of our unique facilities. 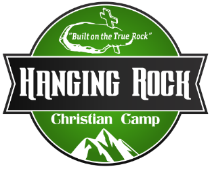 Hanging Rock is ideal for youth retreats, summer camps, adult retreats, and much more. How can I serve? We have many ways that you could use your gifts to serve the Lord here at Hanging Rock.